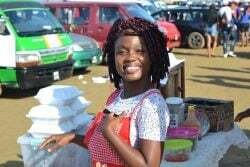 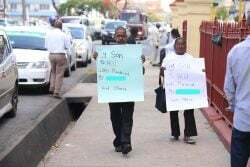 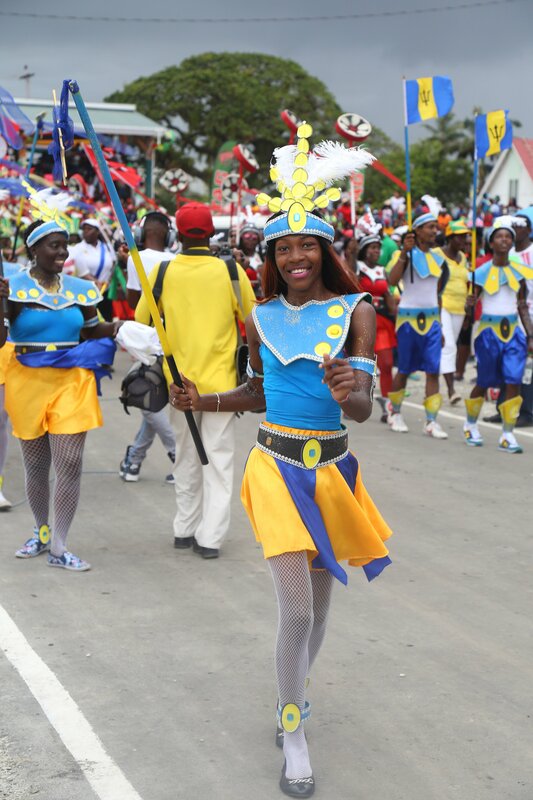 A reveller in the Ministry of Social Protection band in high spirits. 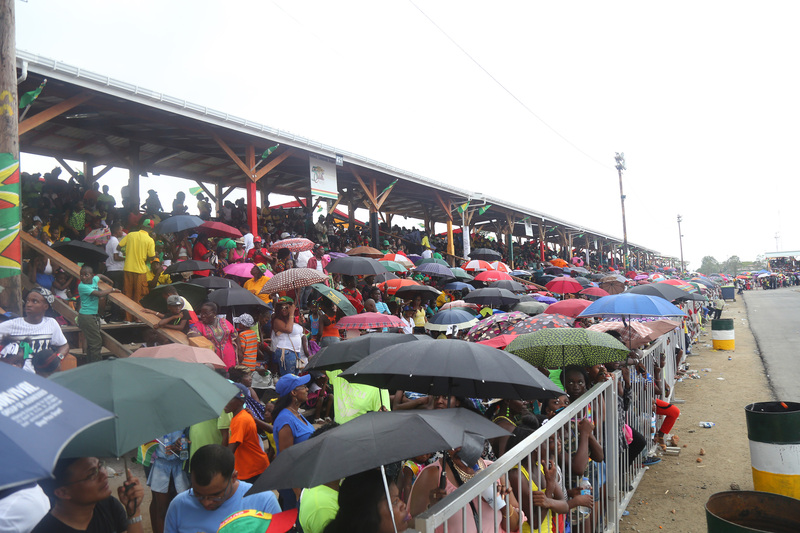 The rain came down and the umbrellas went up. 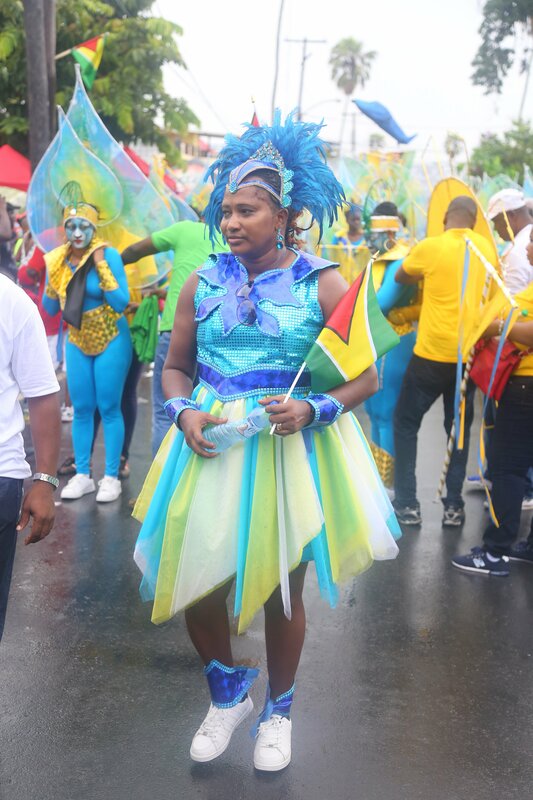 Representing her Ministry, Minister within the Ministry of Public Infrastructure, Annette Ferguson, in her Jubilee Costume. 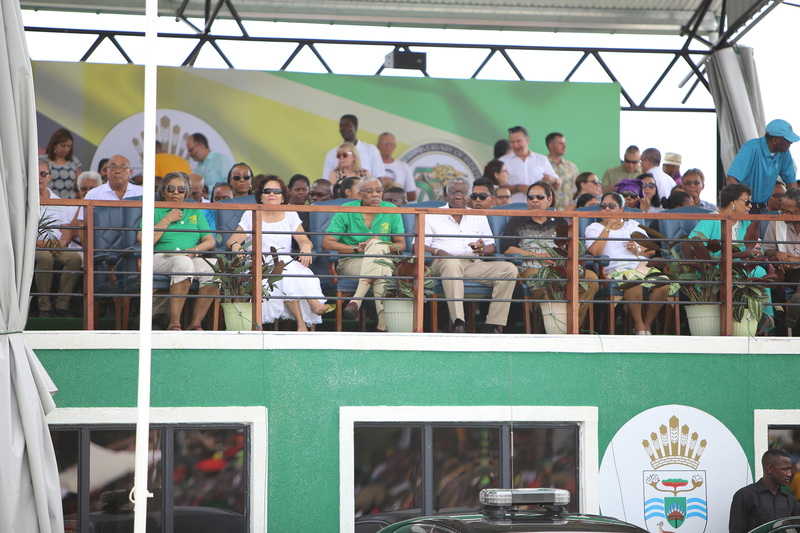 President David Granger and Prime Minister Moses Nagamootoo along with their wives and members of the diplomatic corps looking on as the floats made their way into D’Urban Park for final judging. 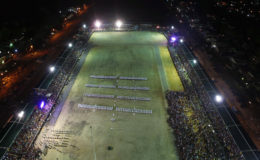 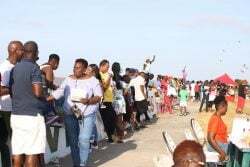 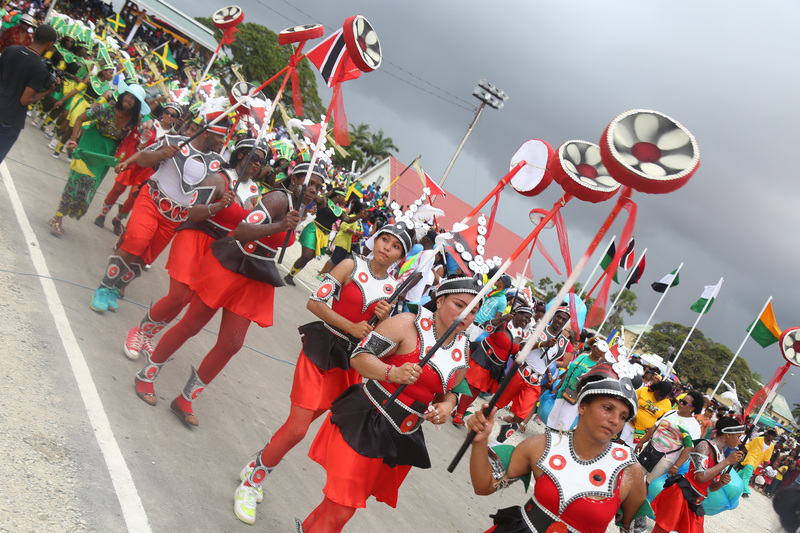 Hundreds of patrons, equipped with umbrellas to shield themselves from the fierce afternoon sun, congregated at D’Urban Park yesterday to view the Jubilee Float Parade. 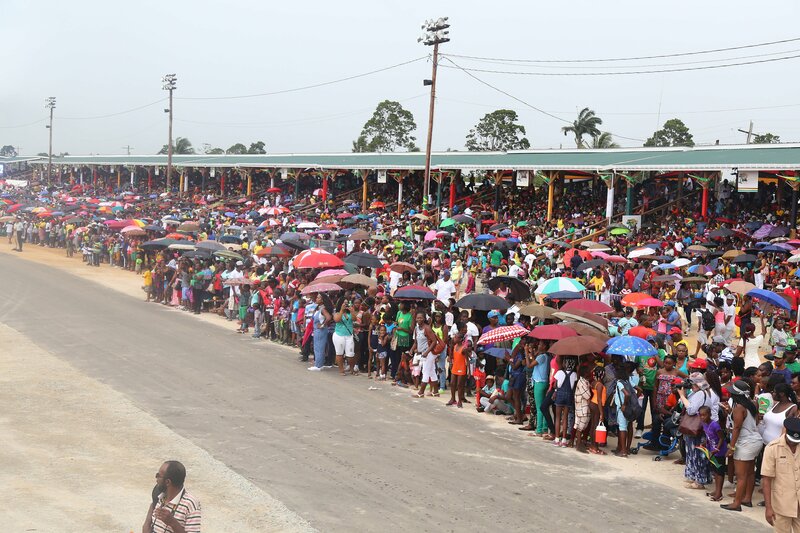 The umbrellas were also pressed into service when it rained in the afternoon. 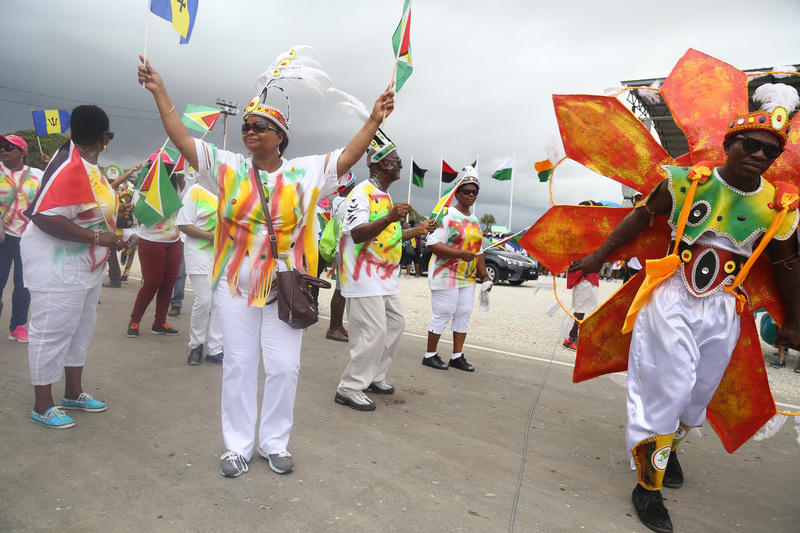 Different sections of the revellers from the Ministry of Social Protection depicting ‘Caricom Unity’. 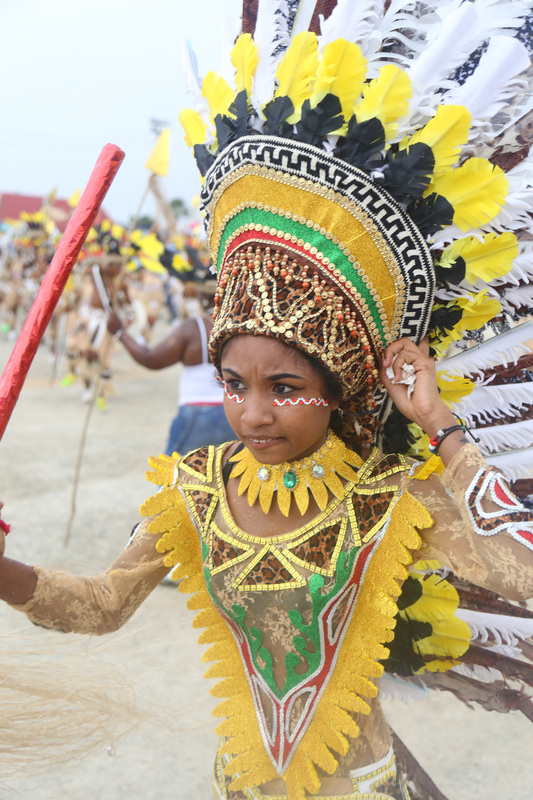 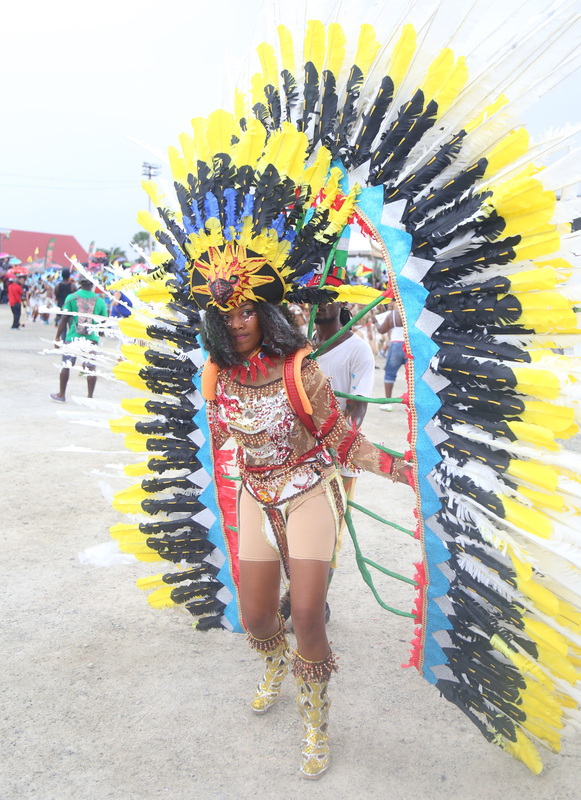 This reveller donned traditional Amerindian wear featuring the colours of the national flag.